Mrs. Elliot explains to Miss Berry that she sent a box of books and magazines a few days earlier for the Schools, but she also mentions not to hesitate to use them in a bon fire if they are not useful. She does believe the Child's Bible would probably be enjoyed. 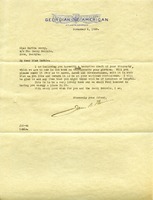 Mrs. Elliot also thanks Miss Berry for the "adorable" gift of cotton for Christmas and wishes her a wonderful New Year. 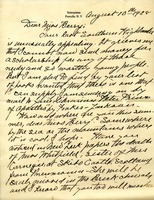 Mrs. Denny informs Martha Berry that she has sent her the books spoken of in the last Southern Highlander. 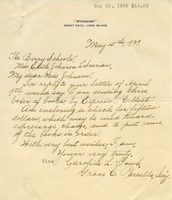 Grace C. Parcells, secretary to Caroline L. Cowl writes to Miss Edith Johnson, librarian at The Berry Schools, telling her she is sending three boxes of books and $15 for putting the books in order. The Berry Schools are sending their thanks for a few books they received. 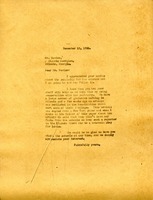 Martha writes to Mrs. Black that she has received the book and sends her thanks, and lets her know about her sister's accident. 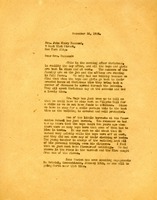 Martha Berry writes to Miss Wingo mentioning how there are so many changes going on while she is constantly going from the school. 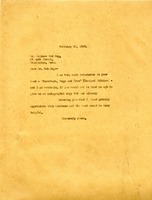 She also mentions that she will have Dr. Myers send books to Miss Wingo and that she knows of a doctor in Boston who has done well with curing arthritis and that Miss Berry will forward the address. Miss Berry thanks for the books he sent and tells him she has given them to the library. 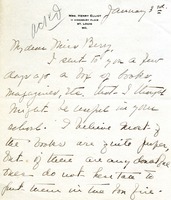 George Tyson writes Martha Berry to inform her that he sent eight books to the school. 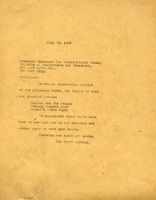 He asks her to take special attention to the book 'The Making of the Teacher' because it has a loose binding. 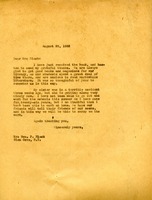 Martha writes to Wallace asking if it might be possible to get an autographed copy of his book for the library. 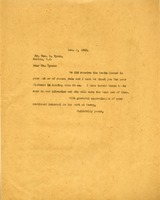 In this letter Martha Berry is informing Mr. Nevins of her desire to keep publicity for the schools conservative. 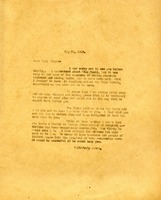 Letter from Daily Georgian American Paper wanting Miss Berry to look over the draft of her biography, which is to be used in a book.